Microsoft is set to drop the price of the Xbox 360 Elite price drop to £199.99 this week, coinciding with next weeks launch of Sony's new PS3 Slim (set to cost £249.99). Somewhat strangely, the cost of the Xbox 360 Arcade model is set to rise to £159.99, while the Xbox 360 Pro SKU (stock-keeping unit) is set to be phased out. The price cuts are clearly in anticipation of the bank holiday weekend, with Microsoft looking to get a head start before the PS3 Slim retail launch next Tuesday. In North America the Elite will cost $299 and there is no change in the cost of the Arcade unit. Reinventing the Living Room. Again. "We have a goal over the next 18 months to reinvent entertainment in the living room," says Microsoft UK boss Chris Lewis. "And we want to ensure that we have the right foundations in place for our consumers to make simple informed choices around their entertainment platform. That's all very well and good, but what to the Xbox magazine editors and UK industry analysts and pundits have to say about the price drop? 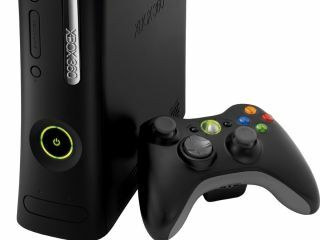 Jon Hicks, Editor of Official Xbox 360 magazine in the UK, told TechRadar: "With this latest cut Microsoft has reaffirmed its commitment to being the best-priced console on the market. £199 for the Elite is a very appealing prospect when a PS3 Slim still tops £249 - and coupled with Facebook and Sky integration, as well as a lengthening list of exclusive retail and download games, it means Xbox is set for a great Christmas. "Meanwhile the Arcade, despite a small increase, is still the cheapest console in the UK. Given that the US price remains unchanged, I'm assuming the UK difference will be attributed to the exchange rate – as with Nintendo's increase in Wii prices earlier in the year." Screen Digest analyst Piers Harding-Rolls adds: "This price move was expected and I believe planned for some time and depended on the timing of Sony's PS3 price drop announcement. With the Elite coming down to £199 and the arcade at £159 I think it's the right move to phase out the premium/pro. "There are now 2 SKUs - the arcade is cheaper than the Wii and the Elite is cheaper than the PS3 - so it seems a sensible realignment of Microsoft's strategy. Generally I think this move is more defensive than aggressive and about protecting market share against a more competitive PS3." Why the Arcade price hike? "The Elite price drop is very much welcome and is indicative of Microsoft's eagerness to retain 360's position as a lower priced alternative to the PS3. Microsoft has also made a very interesting and somewhat controversial move in dropping the Pro whilst retaining and raising the price of the Arcade SKU," said UK industry analyst Nick Gibson of Gamesinvestor.com about the price-drop news. "Whilst making the consumer proposition somewhat less confusing by reducing the SKU count, the moves appear to be designed to push consumers towards the Elite which Microsoft is clearly hoping will replace the Pro as the biggest selling SKU. "For me the Arcade SKU's price rise is less controversial than the decision to retain the Arcade in the first place. Developers dislike the fact that they have to cater for a HD-less 360 SKU and with an increasing emphasis on value-added online services that require an HD, it is somewhat perplexing that Microsoft should retain the one SKU that is unable to make use of (and generate value from) these services."